Flights from Toronto to Europe for under $500 roundtrip after taxes have been non-existent this year, but it looks like SATA International has some flights to Ponta Delgada in the Azores in November for just $479. The Azores are about 1500km off the coast of Portugal. Close enough I say! Click through from Kayak to Orbitz to book. The flight prices are currently verifying on Orbitz. One Response to "Toronto to Azores, Portugal | $479 roundtrip after taxes | November"
Unfortunately from Azores you're SOL to get to the mainland for cheap. A return from Azores to Lisbon and back will run you about $300-350+ in November. 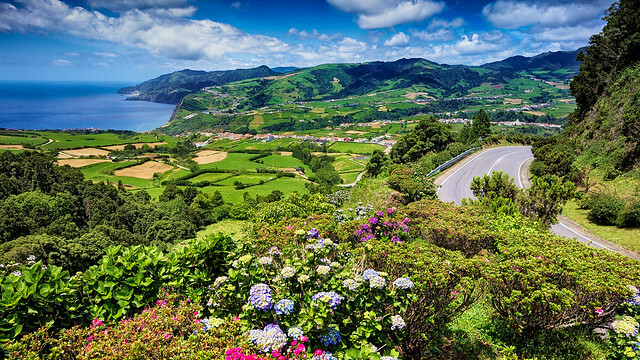 It's a great deal if you're going specifically to Azores (although it's cool, rainy and windy in November).